The Baltic States suffered more than almost any other territory during World War II, caught on the front-line of some of the war's most vicious battles and squeezed between the vast military might of the German Wehrmacht and the Soviet Red Army. 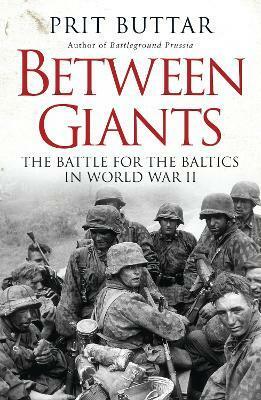 From an expert on the Eastern Front of World War II, this book chronicles the cataclysmic experience of the region that includes modern-day Lithuania, Estonia and Latvia. Combining new archival research and numerous first-hand accounts, this is a magisterial description of conquest and exploitation, of death and deportation and the fight for survival both by countries and individuals. Prit Buttar studied medicine at Oxford and London before joining the British Army as a doctor. After leaving the army, he has worked as a GP, first near Bristol and now in Abingdon. He is extensively involved in medical politics, both at local and national level, and served on the GPs' Committee of the British Medical Association. He appears from time to time on local and national TV and radio, speaking on a variety of medical issues. He contributes regularly to the medical press. He has written a novel, and his first work of military history, Battleground Prussia (2010), received critical acclaim. Alongside his two titles on World War II, Buttar is mid-way through a four-part series looking at the Eastern Front in World War I for Osprey.